Retina ready concept relates to a high-resolution screen, where pixel density may be so high, so that the person's eye can't see specific pixels. The key benefit of constructing you online page Retina-ready would be the fact your content would not lose its top rated quality even if it's observed not on the last-generation devices. Responsive webpage design strategy makes a internet site's screen adjustable to any type of screen resolution. 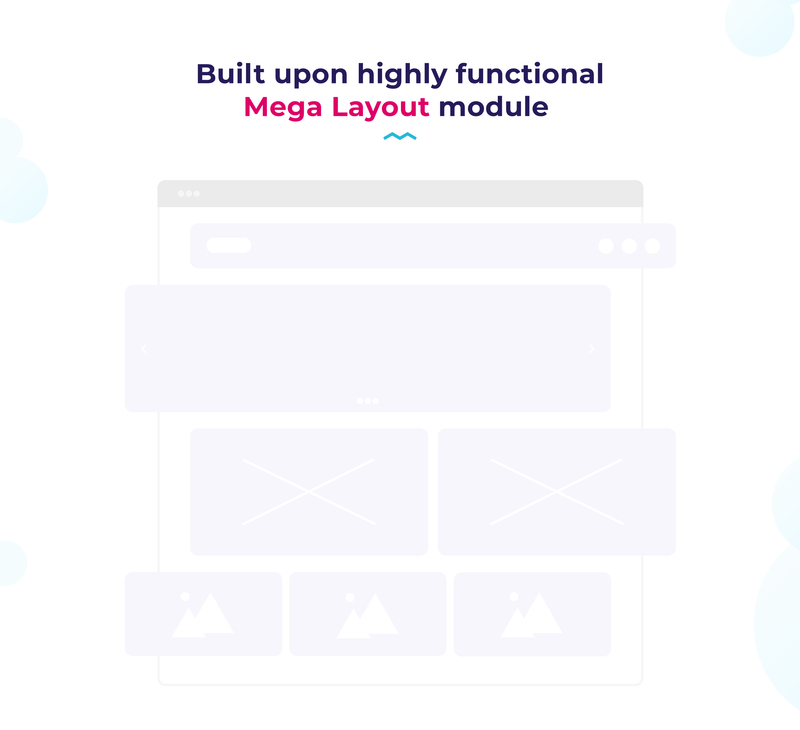 Regardless of kind of device your users might work with to enter the web business - they could view a vibrant graphic which has a convenient navigation menu. It is deemed an especially important feature, considering that almost all buyers nowadays prefer their cellphones for internet surfing. On-line Chat is a tool that lets you have a real-time interaction with your clients. On-line chat stands out as the most effective process to connect with your visitors and turn them into your clients. WordPress themes with sample data installer allow to add sample data to the template effortlessly. 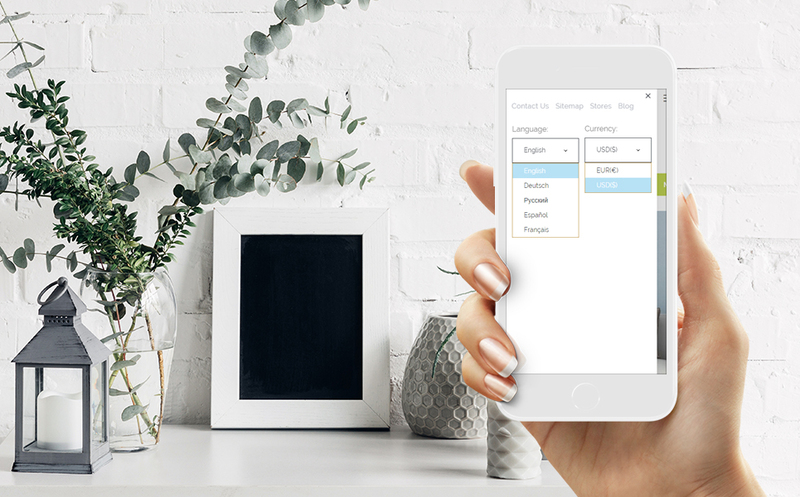 Sample Data Installer will let you rapidly acquire a theme along with the data files and have a very ready-made web property precisely like you found it on the live demo. 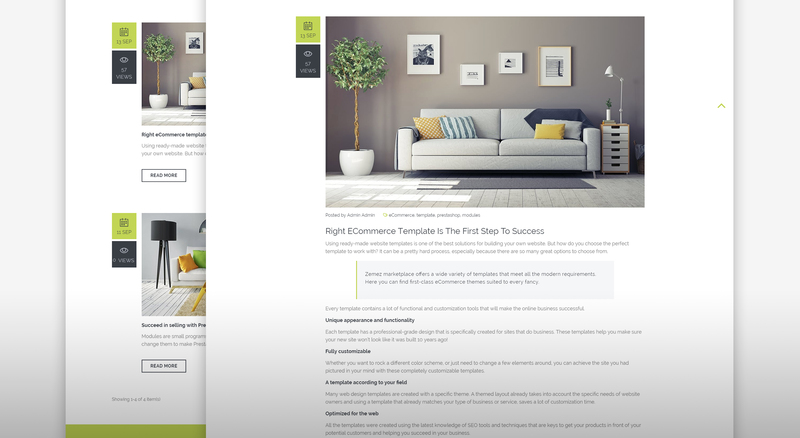 Is it possible to buy the particular image from the Furniture Shop PrestaShop ecommerce template? No. According to our Terms and Conditions we never sell the images separately from Design & Photography PrestaShop templates (as well as the templates separately from the images). Can I resell the customized PrestaShop theme for Furniture? No, you cannot resell the customized PrestaShop theme for Furniture as a template but you may sell it as a project to your client (see paragraph 1 ONE TIME USAGE LICENSE for more details). 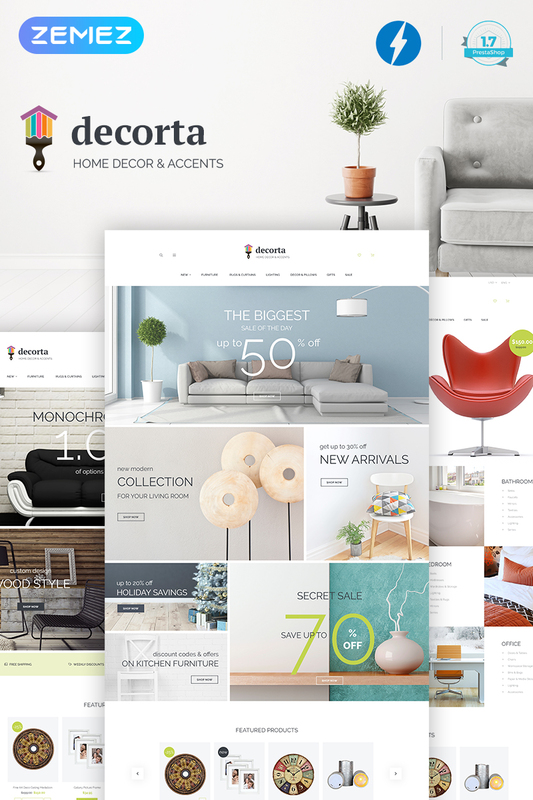 Is there any return policy for Furniture Company PrestaShop themes? Requests for a refund are accepted at www.template-help.com/tickets within the period of 2 weeks after the order of PrestaShop theme for Design Portfolio is placed. You should accompany this request with detailed and grounded reasons why you apply for a refund. Please make sure your request does not contradict the terms and conditions specified in the policy. A refund is issued to you upon receipt of a Waiver of Copyright signed by you. Will TemplateMonster help me to edit my PrestaShop theme for Designer Portfolio? TemplateMonster offers you a variety of sources to help you with your PrestaShop theme for Designer Portfolio. Use our comprehensive Online Help Center to get the basic knowledge about multipurpose PrestaShop Theme. Our Knowledgebase contains customers questions and most frequent problems. Anyway, you can always use TemplateMonster 24/7 phone support, try our Ticket System or Live Support Chat to get qualified assistance from our support representatives. Can I customize the PrestaShop theme for Interior if that's required by application settings? Yes, you can customize the PrestaShop theme for Interior code, graphics, fonts to any extent needed. 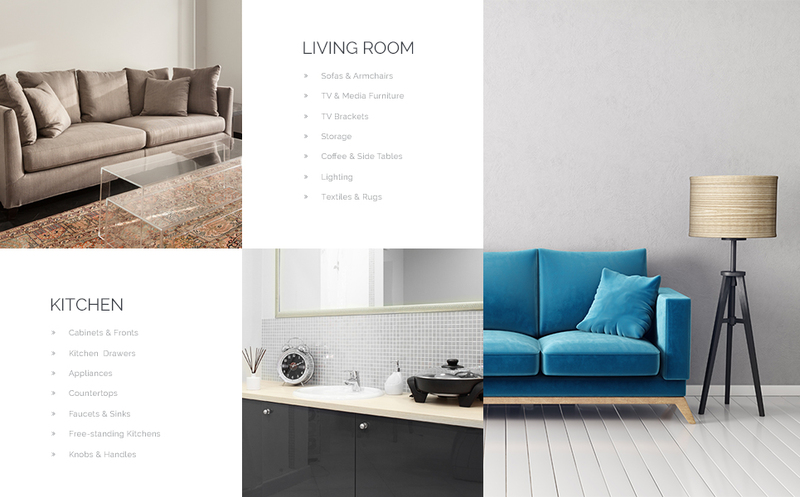 I like the image from the PrestaShop ecommerce theme for Home Furniture and would like to use it for my advertising campaign, can you send me this image in a higher resolution? No, we can't provide image in higher size or resolution rather than it is on the PrestaShop ecommerce theme for Home Furniture. We recommend looking for professional images on online photo resources. 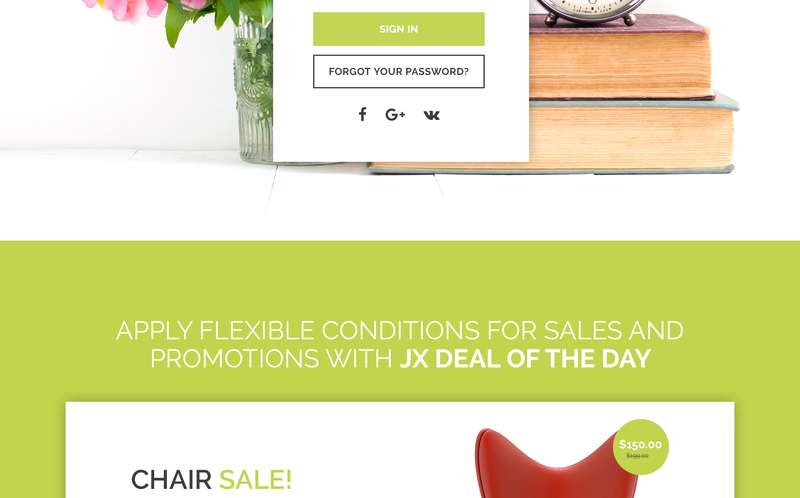 Are there any discounts if I'm buying over 10, 20, 30 or more PrestaShop theme for Interior & Furniture Store? 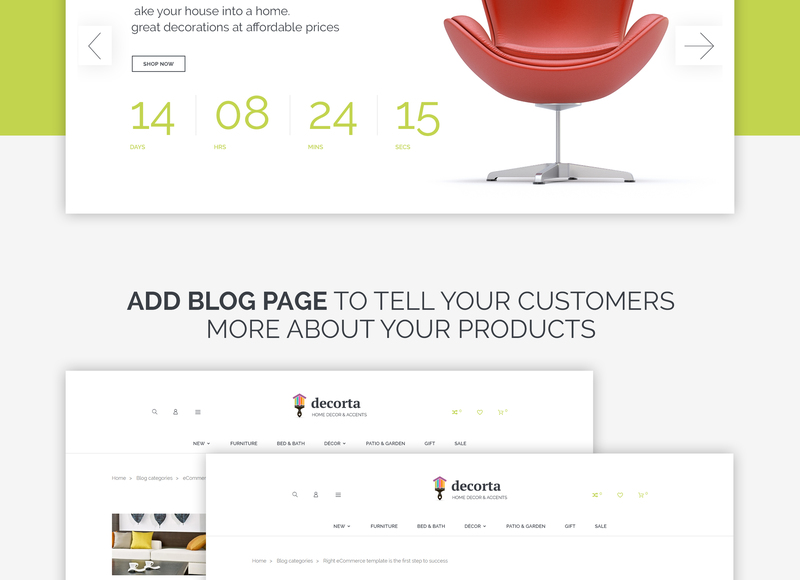 Please email to marketing@templatemonster.com with your inquiries about Furniture PrestaShop design themes. Will you help me to customize my PrestaShop design for Photography? We do not provide any help or instructions on PrestaShop design for Photography customization except for www.template-help.com help center. If you are not sure you can customize the template yourself we recommend to hire a design studio to customize the template for you. Can I customize the Design Store PrestaShop theme? 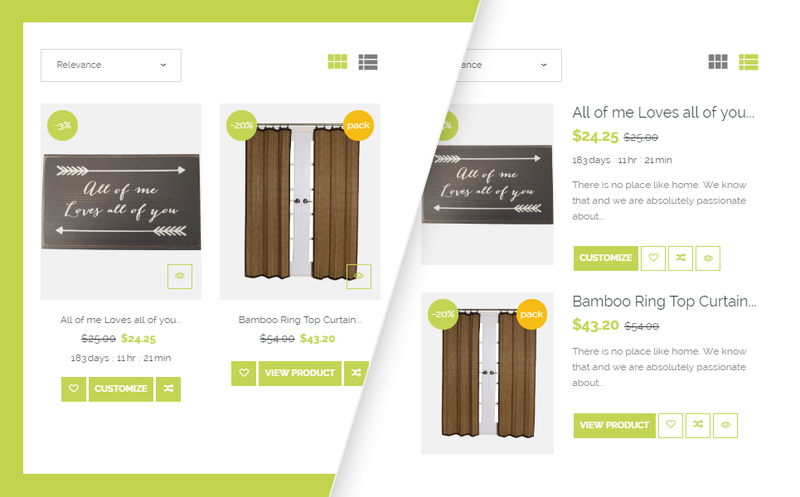 Yes, you can customize the Design Store PrestaShop theme to any extent needed. You cannot use a header of the template for one project though, and images from the template for the other project. Can I contact the PrestaShop design for Furniture Blog author? Yes. You can contact this PrestaShop design for Furniture Blog author/author's team directly using your personal account under the Support tab. 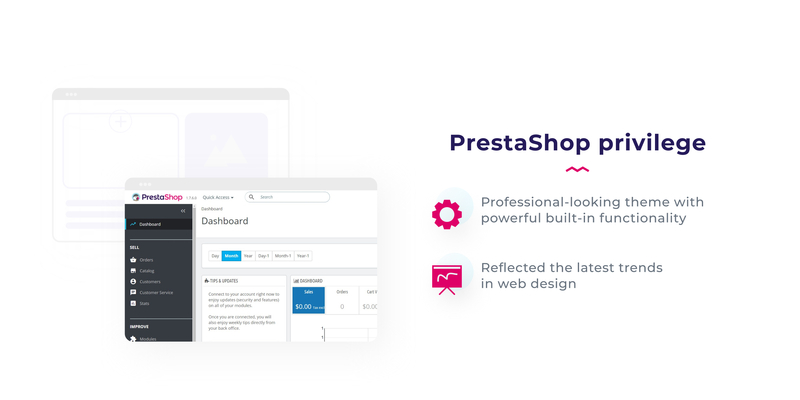 Can I apply a discount code to a discounted PrestaShop design theme for Design News or combine several discount codes together to get better price? 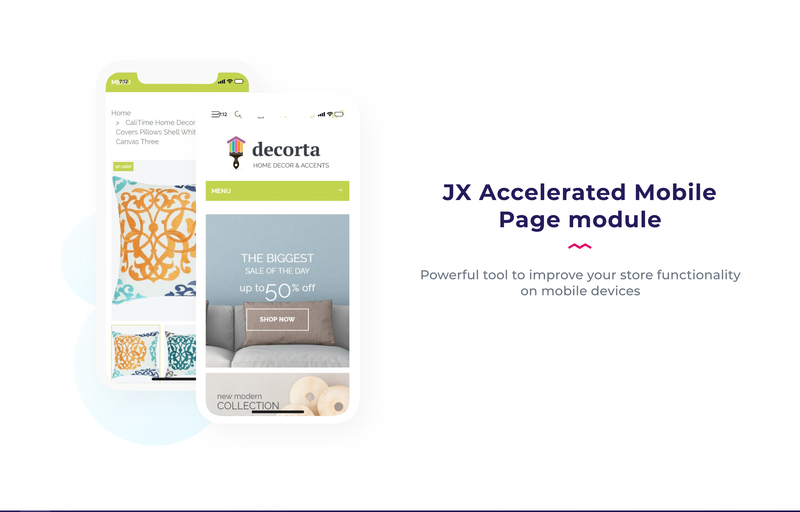 Will TemplateMonster help me to install my PrestaShop design for Furniture Blog? Some of our products like osCommerce templates, Zen Cart templates, etc. require installation to operate. Installation services are not included in the package price. 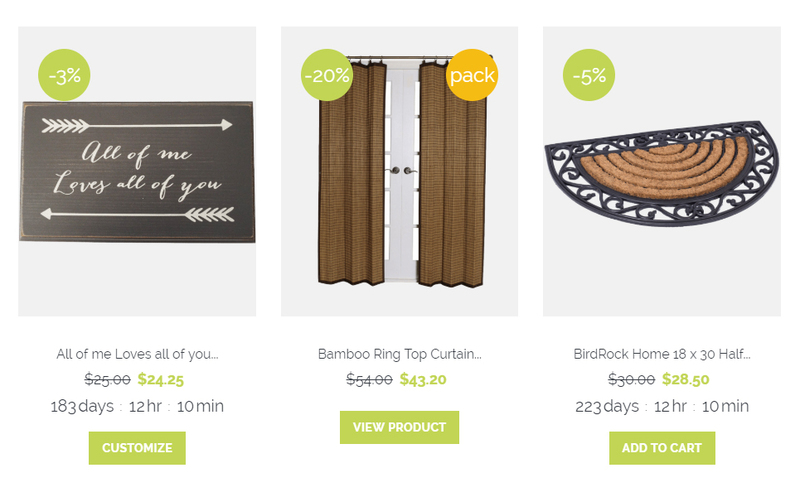 TemplateMonster though offers you a variety of sources to help you with installation of your PrestaShop design for Furniture Blog including installation instructions, some articles with our Online Help Center. Our Knowledgebase contains customers questions and most frequent problems. Anyway, you can always refer to our partners from TemplateTuning.com to install your PrestaShop design for Furniture Blog for you for a small fee. Do you provide any scripts with your PrestaShop designs for Design News or could you do some custom programming? Our templates do not include any additional scripts. Newsletter subscriptions, search fields, forums, image galleries (in HTML versions of Flash products) are inactive. Basic scripts can be easily added to a PrestaShop design for Furnisher Shop at www.TemplateTuning.com If you are not sure that the element you're interested in is active please contact our Support Chat for clarification. I would like to purchase PrestaShop ecommerce theme for Home, but it is not available on the site anymore. The PrestaShop ecommerce theme for Home has been sold out for exclusive price or discontinued.As technology inevitably develops, TemplateMonster may discontinue the production of certain products. It can be no longer available for sale because of being outdated. Can I resell the Design Store PrestaShop themes I bought the extended license for? No, you cannot resell the Design Store PrestaShop themes as is. You can only sell them as the integral part of your new product. Is it possible to use your PrestaShop design themes for Home & Family Magazine to develop websites for my customers? Yes. It is perfect for designers who want to offer their customers a high-quality design and also save time and money. 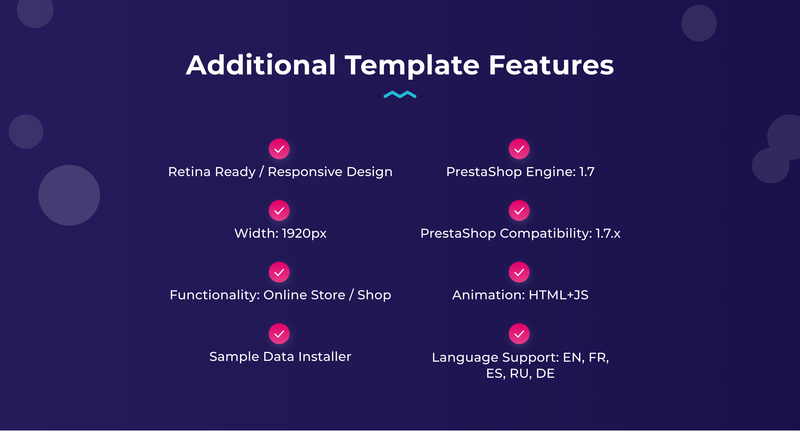 Keep in mind that when you purchase the PrestaShop theme for Interior with ordinary or exclusive license you're entitled to create only one project (one domain name). 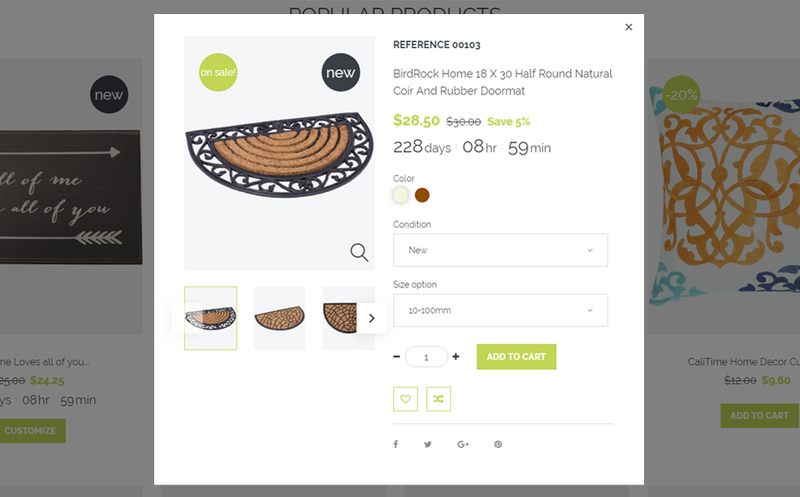 Are there any limitations on selling the Furnisher Store PrestaShop template as the integral part of my new product? 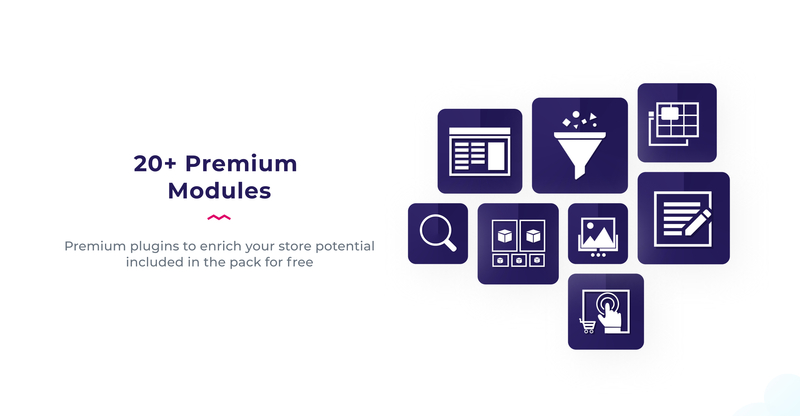 Are there any restrictions for using imagery, cliparts and fonts from the PrestaShop theme for Designers I purchased? All imagery, clipart and fonts used in PrestaShop theme for Designers are royalty-free, if not stated otherwise on the product page, and are the integral part of our products. One Time Usage License and Developers License give you the right to use images, clipart and fonts only as a part of the website you build using your template. You can use imagery, clipart and fonts to develop one project only. Any kind of separate usage or distribution is strictly prohibited. Can I put a line at the bottom ( or any other spot) of the customized Family PrestaShop ecommerce template "Website design by Company name"? No, you cannot place a line at the bottom ( or any other spot) of the customized Family PrestaShop ecommerce template saying "Website design by Company name". Nevertheless, you can place "Customized by Company name". In what cases I don't need the extended license for PrestaShop themes for Design ?